The BeatsX aren’t cheap, but they represent Apple’s low-end wireless earphones. At $149, they’re just a bit less than the $159 Airpods, and much less than the $199 Powerbeats3 (although you can find the Powerbeats 3 for a lower price if you look hard). However, it’s the design of the BeatsX — not their price — that make them the only pair of headphones I would buy from Apple. I chose the BeatsX to round out my Sennheiser HD-1, which feature great wireless sound but a sub-par fit. What the BeatsX lack in sound quality, they make up for in amazing convenience. The BeatsX with the small tips fitted. 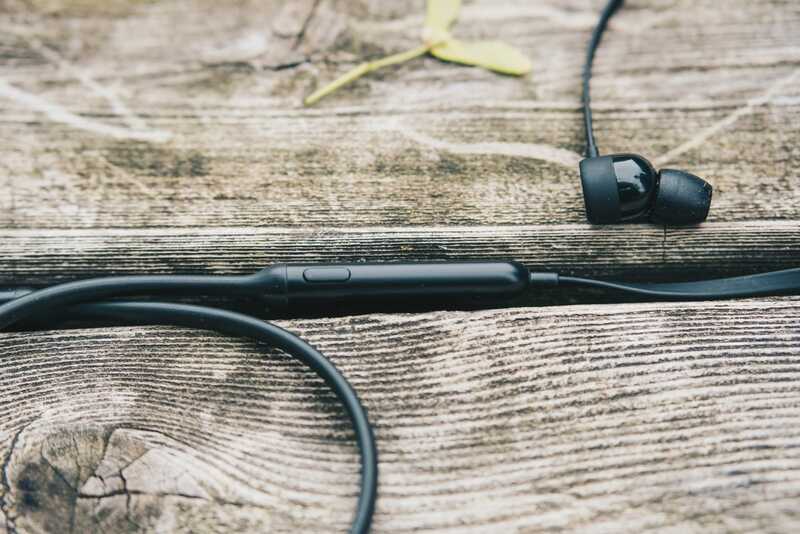 These earphones represent wireless technology at some of its best. 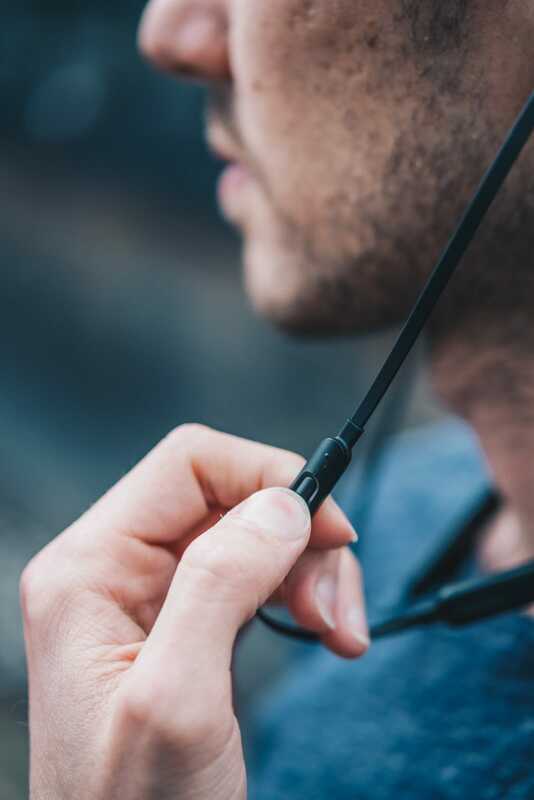 Yes, there is a wire between the two earbuds, but the presence of this wire enhances the experience of having wireless earphones. The most irritating thing about wired headphones isn’t the existence of the wire, but rather its placement. Having something hanging between you and your phone means you could get tangled in turnstiles or snagged on a doorknob. It’s a nuisance. Having wires present only between the earbuds, on the other hand, is a convenience. 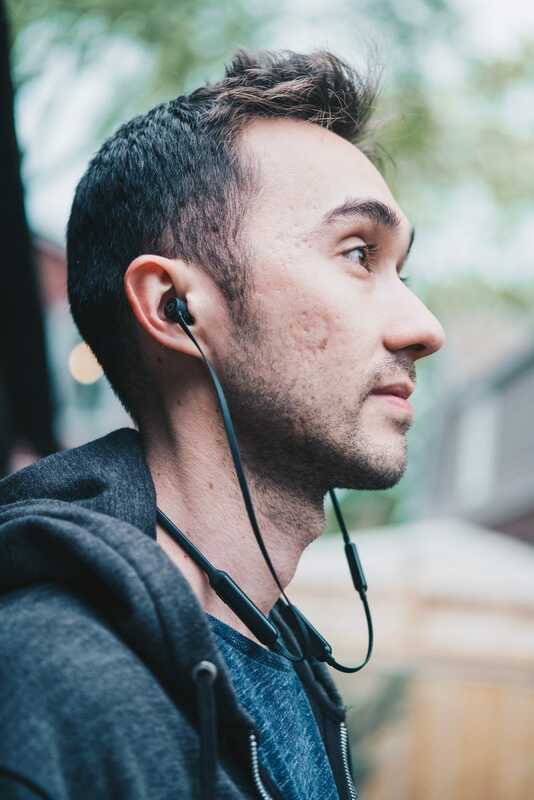 The wire keeps the earbuds together and makes it easy to wear earphones around the neck when they’re not in use. Magnets help to keep the BeatsX in place when you’re not using them. The wires on the BeatsX also gave designers a spot to place controls and ports. The left earbud on the BeatsX has a module for playback and volume controls, and a Lightning charging port. The right earbud houses a power LED and power button that’s a little too squishy for my preferences, but it does the job. 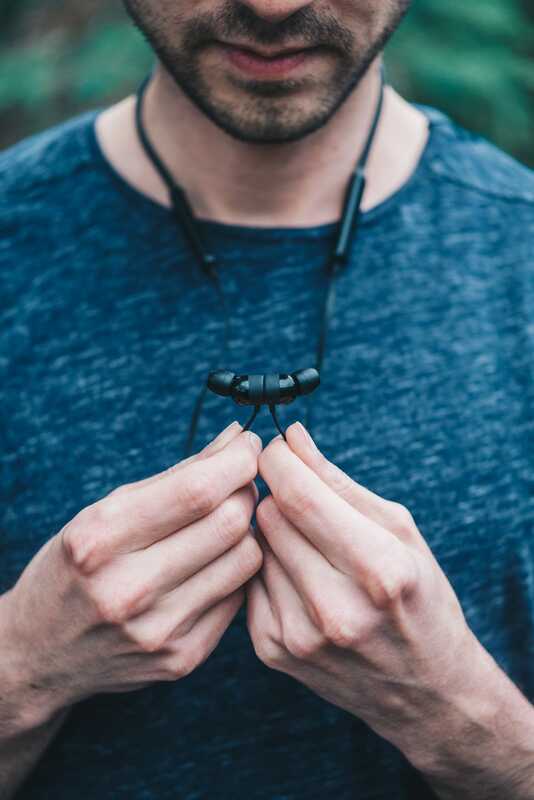 The BeatsX hang evenly on the back of your neck and are very comfortable to wear, even all day long. 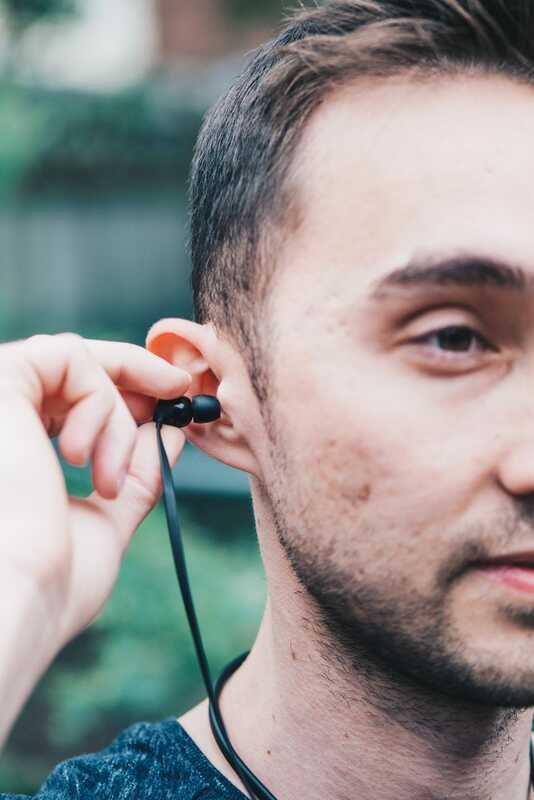 When you wear the BeatsX, it’s easy to forget they’re there. 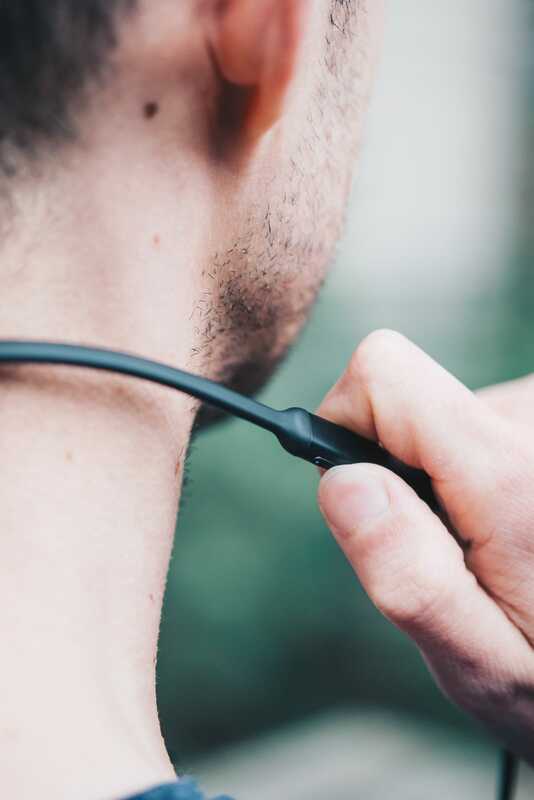 There’s a stiff middle section to the wire that contours nicely to the back of your neck, ensuring a very even fit. The earbuds hang evenly at chest level and magnets along the rear of each earbud ensure the BeatsX stay in place throughout your day. 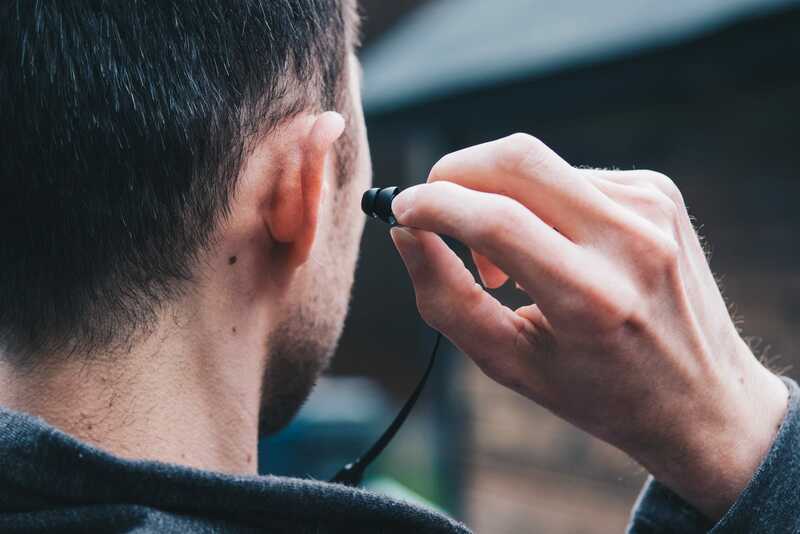 Just behind the left earbud you’ll find a module that stores the microphone, playback, and volume controls. The buttons are fine but the microphone is nothing to write home about. 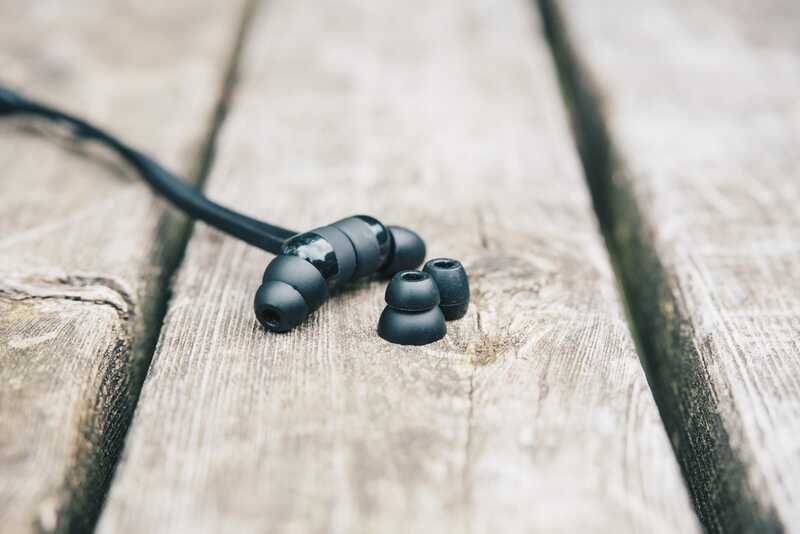 You can lean over and tie shoelaces, run for a bus, or just plain forget you are wearing these earphones, and they’ll stay in place. When you take the BeatsX off, you can store them in the included rubber pouch or just stuff them into your bag as-is. I never use the pouch and have found that the flat cable keeps these earphones from ever tangling up. You’ll find the power button along the right side. It’s a little too squishy and doesn’t give very good tactile feedback. I was initially tempted by the look and the completely wireless nature of Apple’s AirPods, but I kept wondering where I would place a single AirPod when I wanted to pause my music. I don’t have that concern with the BeatsX because if I remove just one of the earbuds, it just hangs at chest level. 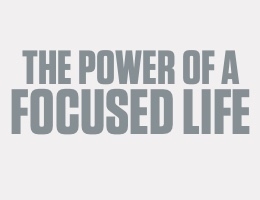 When I’m done with a conversation or want to get back into my music, I just pick it up and put it back in my ear. The flat cable design isn’t unique to the BeatsX, but I’m glad Apple implemented it anyway. The one caveat here is that the wire on the BeatsX is on the long side. My ideal would be to cut about 1.5 inches from both sides, so the wire stayed closer to the neck while in use. Wearing the BeatsX with a t-shirt or hoodie is fine, but the wire can get caught in a scarf in the winter. However, this is a hassle the minority of the time, and I wouldn’t trade the partially wired design of the BeatsX for the completely wireless AirPods. I’d rate the sound quality of the BeatsX as a cut above the Airpods, if only due to the isolation provided by its silicone tips. There are the standard set of small, medium, and large tips, as well as a set of flanged tips. 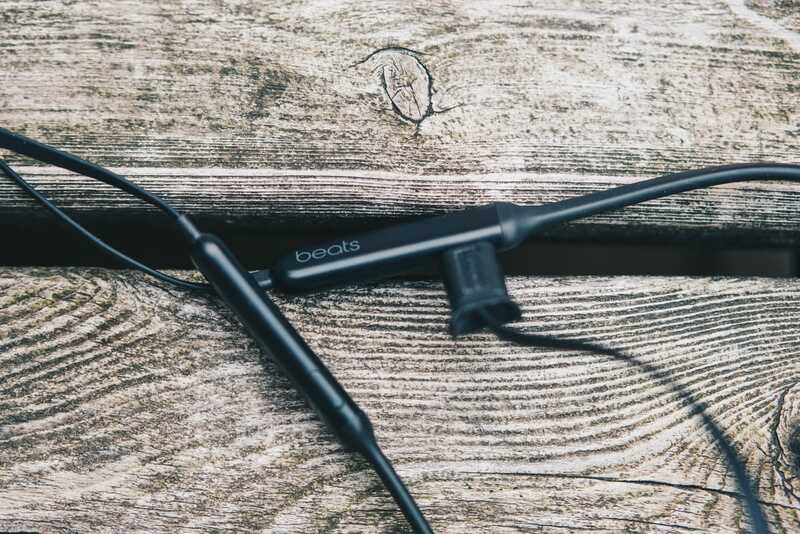 The small and flanged tips for the BeatsX. The flanged tips are the only ones I’ve ever needed because I find they provide the best seal for my ears. This helps to lock in the bass more and keeps from having to increase the volume when walking through downtown Toronto. 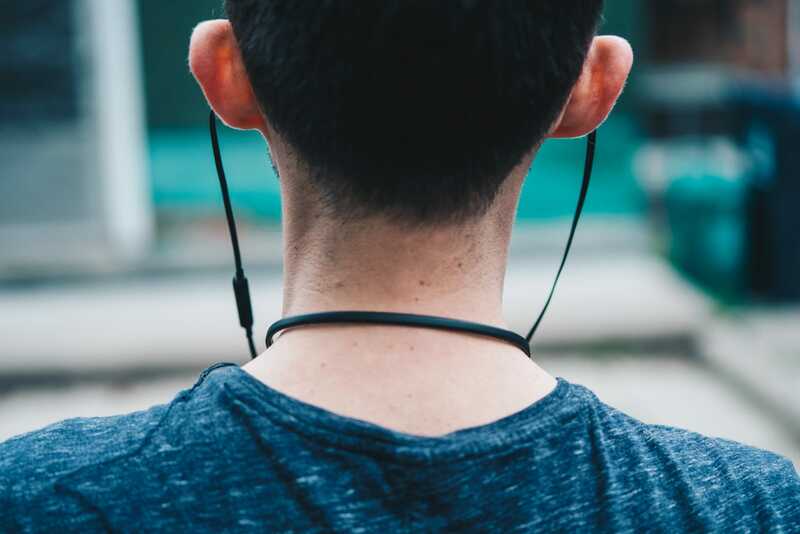 The BeatsX can be worn over the ear like this. If you want to run with the BeatsX, there are also two sets of wings you can attach to the earbuds to keep them more secure in the ear. I’ve never liked the fit of this type of accessory, so they’ve just stayed in the box. 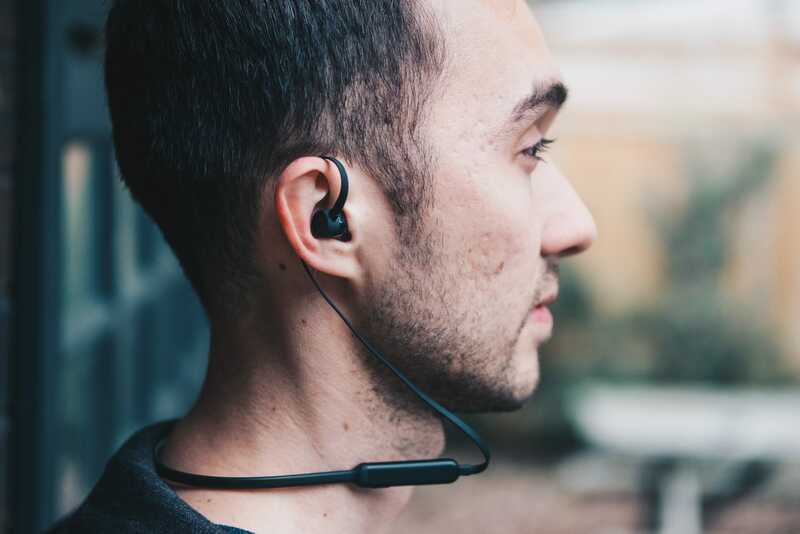 Most users will probably wear them like a regular set of earbuds, with the wire hanging out and in front. There are other wireless earbuds that offer better sound, but if you’re an owner of Apple devices, the proprietary W1 chip in the BeatsX is a very big selling point. 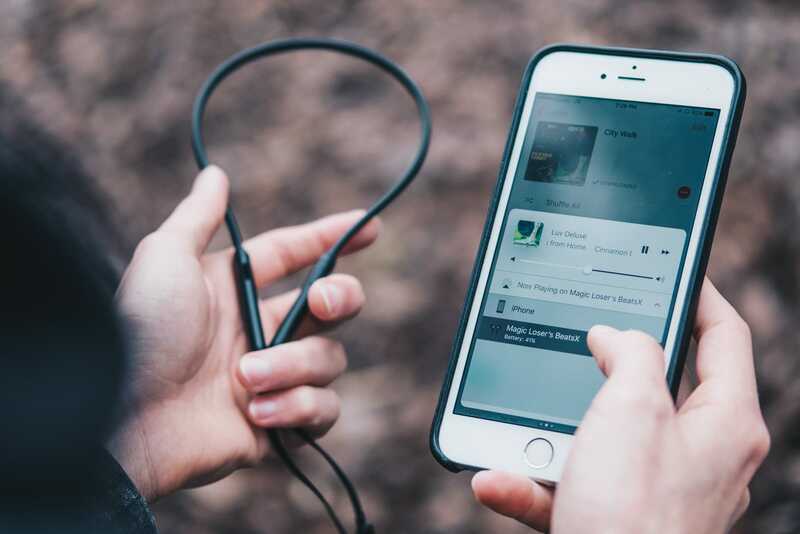 The initial pairing sequence is as simple as powering the earphones up, placing them near your iPhone (with Bluetooth on), and then pressing the Connect button that appears. That’s really it. This skips all of the nonsense of holding down a power button to ensure the Bluetooth device is in pairing mode and then checking for said device in your iPhone’s Bluetooth settings. Once paired with your iPhone, you can switch to the BeatsX from the Control Center of any iOS device that is signed into your iCloud account. The W1 pairing process is also integrated with iCloud, so any other devices that are signed into your iTunes account will also be eligible for pairing with the BeatsX. If you were listening to music on the iPhone and then wanted to switch to the iPad, it’s just a matter of invoking Control Center on the iPad (swipe up from the bottom of the screen) and tapping on the BeatsX as an audio source. This process isn’t quite as obvious on the Mac, but it’s accomplished by selecting the volume icon in the menu bar and choosing the BeatsX as an audio source. 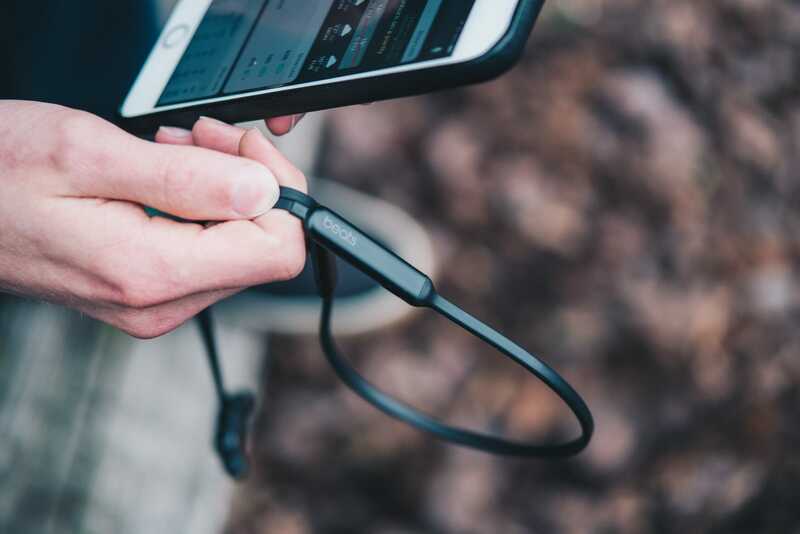 The BeatsX is long, but can be folded up for quick and compact storage. When I initially learned about the W1 chip, I thought all of this device switching would be seamless without the need for any manual input, but this method is still more convenient than regular Bluetooth pairing. Apple rates the BeatsX as having about eight hours of battery life. The reality has been that this is usually enough to get me through one or two days without a recharge. I’ll listen to music for two hours on my commute, and then for a few hours at work, and at some point I’ll get a warning about low battery. I love being able to use the Lightning cable to charge up both the BeatsX and my iPhone 6S Plus. It’s at this point I plug my external battery into the BeatsX and let them charge up for five or ten minutes. Thanks to the quick charging implementation, all I need to do is take off my earbuds and grab a cup of coffee. By the time I get back to the BeatsX, they usually have enough battery for another few hours of use. The BeatsX is my first experience with quick charging and I really love it. Battery life matters less when the act of recharging becomes negligible. There are some products you’ll want to turn over in your hands over and over again because of their look and feel. The BeatsX does not fall into that category. But, I think this is actually a sign of a job well done. 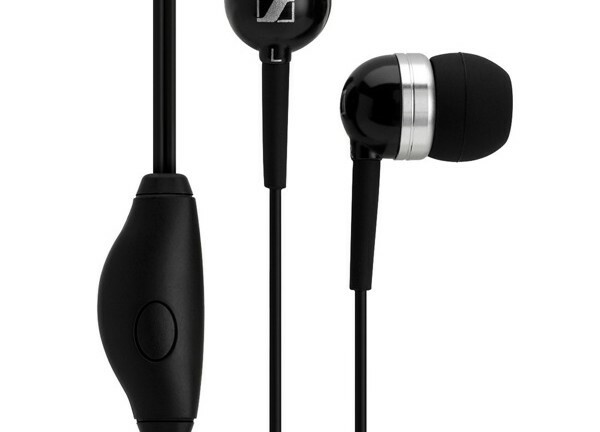 What I wanted from this pair of earphones was a small, ultra convenient wireless solution for music. If Apple’s AirPods aren’t for you, make sure to check out the BeatsX to see if they fit your bill like they did mine. I have the Sennheiser HD-1 for high quality audio when I want it and I have the BeatsX for a “set-it-and-forget-it” everyday solution. 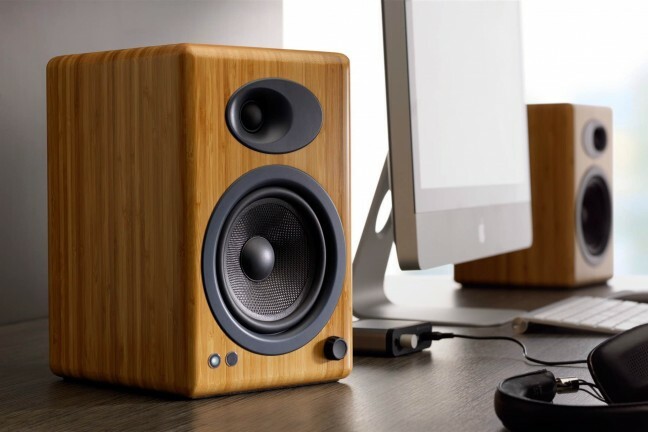 They weigh next to nothing, they can be tucked into a shirt when not in use, and the quick charging makes it effortless to play music all day long. Out of all of Apple’s current W1-powered wireless head phone, the BeatsX is really the only design that fits the bill for me.